JALISCO, MEXICO – The producers of Siembra Azul, one of the most distinguished families of artisan, small-batch tequilas to emerge in recent years from the town of Arandas in Mexico’s Highland region, are pleased to announce the addition of two new Extra Añejo tequilas to their critically acclaimed line of products. Honoring centuries of time-honored tradition, the ultra-premium spirits, Suro Extra Añejo, and Piñera Extra Añejo were distilled from slow-ripened Agave Tequilana Weber Azul, cultivated and harvested by highly skilled hands in the famed tequila producing region’s “Golden Triangle” before being painstakingly rested for years in virgin oak barrels to develop an uncompromising depth of flavor. Suro Extra Añejo is aged for five years in proprietary charred, virgin oak casks wrought from old growth trees harvested from the Ozark Mountains in Missouri. The combination of meticulously cultivated blue agave, precision distillation, and well-regulated aging, all carried out under the direction of Suro-Piñera and the all-star team of industry experts he’s recruited over the years, has resulted in an exceptional aged tequila with a deep golden glow, and a complex flavor profile that offers hints of dried apricots, backed by caramel, spice and smoke. Siembra Azul is also introducing a limited release of Piñera Extra Añejo. The initial small lot was culled from Siembra Azul’s very first production run in the fall of 2005, and laid down in charred virgin French oak barrels for the last seven years. The subsequent result is a deep amber spirit that is sweet and spicy on the nose, and reminiscent of sauternes. On the palette it reveals hints of stone fruits, like apricots and prunes intertwined with butterscotch, almond and orange peel. This introductory release is extremely limited, and only 200 bottles exist. In years to come, more will become available. Piñera Extra Añejo is available in select markets. Siembra Azul’s trademark, “The Future of Tradition,” is also the mission of its founder, restaurateur and acknowledged tequila expert David Suro-Piñera, who has tirelessly traveled the world since founding the brand in 2005, conducting orientation seminars, teaching consumers as well as those in the spirits trade, and the hospitality industry about the rich history, and time honored traditions of tequila production in Mexico. Driving this endless pursuit is Suro-Piñera’s passionate campaign to position tequila as one of the greatest and most complex spirits in the world. For more information about Siembra Azul Tequila, please visit the website www.siembraazul.com. 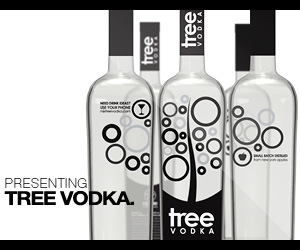 DURHAM, NC – May 5th, 2017- North Carolina-based Graybeard Distillery recently debuted Bedlam Vodka, a new vodka brand distilled from rice, to critical acclaim at the 2017 Wine & Spirits Wholesalers of America’s Convention & Exposition (WSWA) in Orlando, FL. Distributors, media and other attendees had an opportunity to sample the product, learn about Graybeard’s unique distillation process and be introduced to the Bedlam brand and its one-of-a-kind backstory. Bedlam Vodka quickly became a convention favorite as it took home three prestigious awards, garnering the attention of top media, distributors and industry influencers. The brand was presented with the Hot New Now Media Award, voted on by attending media for the best new product. Criteria used to select the winner included creativity and marketing, distinctive packaging, market appeal, as well as unique flavor. In addition to this award, Bedlam Vodka was also named a winner in the Spirit Tasting Competition, sponsored by THE TASTING PANEL Magazine and SOMM Journal. Beginning in May, Bedlam Vodka will be available at North Carolina ABC stores, as well as various bars and restaurants across the state, followed by launches nationwide. Located in Durham, Graybeard is the largest grain to glass distiller in North Carolina. Using a process perfected by Irish ancestors over the past seven centuries, they created Bedlam Vodka – A Drinkable Spirit. Distilled from rice, Bedlam offers a smooth, “drinkable” quality not found in other vodka brands. For more information on Graybeard Distillery and Bedlam Vodka, visit www.bedlamvodka.com or follow Bedlam Vodka on social media at @BedlamVodka. WSWA is a national trade association representing the wholesale tier of the wine and spirits industry and is the voice for wholesalers in Congress, the administration, the courts, with the news media and in communities across America. Founded in 1943, WSWA has 405 member companies in 50 states and the District of Columbia and its members distribute more than 80 percent of all wine and spirits sold at wholesale in the United States. Learn more about the WSWA Convention & Exposition at www.wswaconvention.org and more about the association at www.wswa.org. Today, we are announcing the Launch of Sophie & Max’s Selection Nº 1, a Limited Edition X.O. Cognac specially bottled by André Petit & Fils for Cognac Expert. Please find attached a press release detailing the first in a unique limited edition Cognac designed to bring small, artisan Cognac houses to the attention of an international audience. As the largest specialized online portal for Cognac, Cognac Expert actively promotes small producers. Selection Nº 1 has already generated much interest during the pre-launch. We would very much appreciate it if you would distribute our press release to anyone who may be interested. San Francisco in July 2019 will be first time the drinks industry gets to address this game changing legislation. A new conference and exhibition is being launched to help the global drinks industry better understand the challenges, and potential opportunities, there are from legalising the sale of cannabis in leading countries such as Canada and an increasing number of US states. Cannabis Drinks Expo in San Francisco, July, 2019 will be the first event to tackle the issue head on and give the worldwide drinks industry, and North America in particular, the chance to come together and look at ways it can start addressing what has been described as the biggest ever threat to its future. Analysts predict the legal cannabis market could be worth $23 billion by 2021, is set to grow at least 30% a year and is already close to a $7bn market (Arcview Market Research). It is now possible to use cannabis for recreational purposes in eight US states and the District of Columbia. For some states, noticeably California, the law changed from January 1, 2018. It is also possible to use cannabis for medical purposes in 29 US states. Legalised cannabis will be available across Canada from July 1, 2018. The Beverage Trade Network will be working with the North American drinks industry over the coming months to develop the most relevant and must attend content for the inaugural Cannabis Drinks Expo event. This will be a unique chance for the industry to determine what strategies it needs to put in place now to capitalise on the huge opportunities for legalised cannabis drinks-related products over the next five to 10 years and how they can open up new distribution channels and markets. – what innovations will they have to bring to market to keep one step ahead of the competition. – the steps businesses need to take to comply with new cannabis legislation. – what will be the new routes to market and opportunities for new distribution channels. – how traditional drinks industry suppliers and service providers can adapt their business models to make themselves equally relevant to those now working with cannabis-related products. As demand for the first Cannabis Drinks Expo is expected to be high, there is an opportunity to pre-register now, at www.cannabisdrinksexpo.com, and be the first to hear any news about the show before the rest of the industry. All pre-registered businesses and individuals will also get exclusive access to the best launch deals available for exhibitors and delegates. The Expo will also be particularly relevant to the new wave of cannabis brands and businesses that need to find their route to market and how they can work with the traditional drinks industry, from producers to importers, distributors, retailers, restaurants, bars and hotels. BTN has a strong track record of organising high quality, and relevant drinks industry events including USATT (USA Trade Tasting), IBWSS (International Bulk Wine & Spirits Show), The London Wine, Spirits and Beer Competitions (LWC, LSC, LBC) and ABID (Alcohol Beverage Importers & Distributors) conference. More details, including the confirmed date and venue, will be released in the coming weeks on www.cannabisdrinksexpo.com. 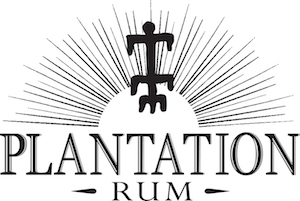 Morant Bay will be present at Think Rum!, the first Rum trade event to kick off an exciting 2017 for the Rum sector. It’s a showcase for newer emerging British and Scottish craft rums, that are diversifying the category internationally. This fully interactive tradeshow will have a range of rums to experience and taste, masterclasses, networking and debate bringing together the pioneers and innovators of the Rum category, with the relevant on and off trade buyers – from supermarkets, convience stores, online retailers, wholesalers, off licences and independent wine merchants to mixologists, bar and hotel bar owners and managers and restaurateurs – the key players whose input is critical in ensuring the sales continue to rise and excitement around the Rum category continues. The Signature Edition Spiced Red Rum from Morant Bay, an International Spirit Challenge award recipient will be on offer to sample, for those not able to attend and would like to know more about this rum. You can contact them via e-mail at info@morantbay.com, and title it Think Rum in subject heading. Think RUM 2017 will be hosted and media supported by the leading UK trade publications, Harpers, Off Licence News and CLASS.. Each will be dedicating extensive pre and post event coverage both in print and online. Big whisky show is coming back to Austin! Austin, October 2, 2013, 6-10pm, Austin Music Hall. Good news for all of us whisky lovers and artisanal spirits appreciators-Whiskies of the World, the oldest and most original whisky tasting event of San Francisco, is bringing its whisky vigor to Austin, for the second grand year. Those who experienced our inaugural festival know what they’ll be entitled to: sampling of literary flood of whiskies, from your conventional whisky fix to the new and exciting whisky releases, often hard-to find or first-on the market. The whisky rivers will originate from everywhere: as close as Texas to as far as Australia and India. As always, you’ll be able to sample your way through them to choose the new picks for your liquor cabinet…and to approvingly nod to the old favorites already in there. Not the least factor to the success of your whisky casting is meeting with the global whisky ambassadors, master distillers, et all, and learning about the different production, aging, and maturation processes that make each whisky, its flavors and aromas, unique. After such an extensive outside guidance, plus the inside one, conducted by your own palate, the choice of a perfect whisky(s) becomes not so painstaking! The event promises sumptuous food to keep you satiated between your tasting sessions (and specially created to pair with whisky). Whisky Masterclasses, a way to get real close with the whisky creators, and their creations, will be held all evening long, warm and inviting. Cigar and Whisky pairing and seminar, whisky specialty booths, bumping into the renowned whisky guests from Scotland and other whisky domains. Austin, have you ever done that? The Miami Rum Festival takes place in mid-April with hundreds of fine rums on display in a 40,000 square foot exhibit hall at the Doubletree Miami Airport Hotel. It’s also an annual gathering of major proportions — now a tradition — for many of the world’s most experienced rum experts. In addition to their blind tasting sessions in their RumXP competition, the judges of the International Rum Expert Panel today announced they will be on hand at the 2013 Miami Rum Fest Grand Tasting events on Saturday and Sunday, April 20-21 to field questions from consumers attending the event. “Ask The Rum Expert” is a new feature of this annual cane spirit gathering. Participants will tap into the combined expertise of these notable rum hounds — these world travelers and collectors of fine rums — while browsing the isles to evaluate rum samples. Participants are invited to visit the RumXPs at their “Ask The Rum Expert” exhibit. All questions are welcome, from the most basic to in-depth inquiries about specific products, distillers, brands or countries of origin. They might just have the answer to your rum-related question. Tickets to the event are $50 per day, which includes evaluating hundreds of fine sipping rums and sampling great rum cocktails, attending celebrity seminars, watching rum competitions on the main stage, browsing the island lifestyle exhibits — and playing stump-the-band with the rum experts.